When I finally decided that I was going to take the leap and head off to New York for BlogHer this year, I knew the first thing I needed was a new iPad case. 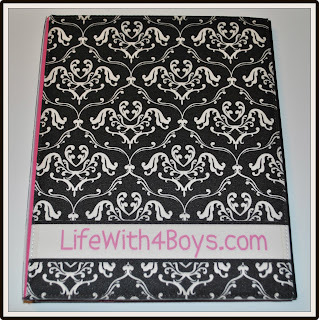 The boys have completely destroyed the cheap one I bought from Walmart months ago and I wanted something that showed off my personality and possibly even my blog. With Caseable, I found both fashion and the ability to customize a case to showcase my blog and personal style! "Caseable is a fresh new start-up dedicated to delivering you the case of your imagination! Our mission is to ensure that your creativity and passion for art is present throughout the entire production of your case. We want to protect your devices without sacrificing any of your individuality! We make products that matter to you!" When they say their cases are fully customizable, they aren't joking. Everything from the color of the front or back to the font style, size and color are fully customizable and just waiting for your personal touch. What I love about Caseable that I have found to be a downfall of many other companies is that they do not require you to design the entire product from scratch. I am horrible at laying out designs on my own, so Caseable's pre-designs were amazing to me. If customizing and building a case from scratch is your thing, then they definitely offer that to. For the more technically challenged like myself though, they have a full range of customizable pre-designs. I chose a design from the "Monogram and Name Plates" options. Once you choose a pre-design, you have the ability to change the inside color, outside color and in this case, add customization through wording such as your name. I went with my blog URL of course and the font and color of the wording is completely changeable as well. Their customer service also rocks and you can tell they really love what they do. The quality of the case I received is great. I could instantly tell the difference between it and the cheap off brand version I had bought at my local store. The stitching is really well done and I like that it has elastic straps to firmly hold the iPad in place. 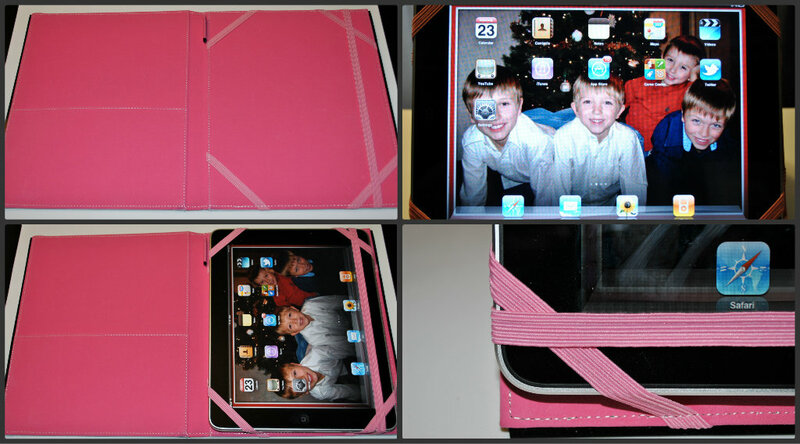 One of the problems I had with my old case is that the iPad kept sliding out because there were no straps. There is also a built in folder for holding papers or even business cards and a pencil/pen holder too! The coloring is even and well printed and the material of the case is way more than I expected. I had expected a faux leather like material, but this is really nice fabric. You can check out the Caseable iPad cases and their other products such as cases for Kindles, laptops and tablets on their website. iPad cases are priced at $49.90, which is a great deal for a fully customizable, quality case that will last. I would love to win this! We have one of those "smart cases" but no case that allows us to bring the iPad out places. I now like you on FB :) name is Elizabeth Parker on there. I like you on Twitter - username = yesnofilms. I like Caseable on Facebook. I follow Caseable on Twitter now. I left a comment on your "Sometimes It Feels Like I am Still in High School" post. I also stumbled that same post (HS post). 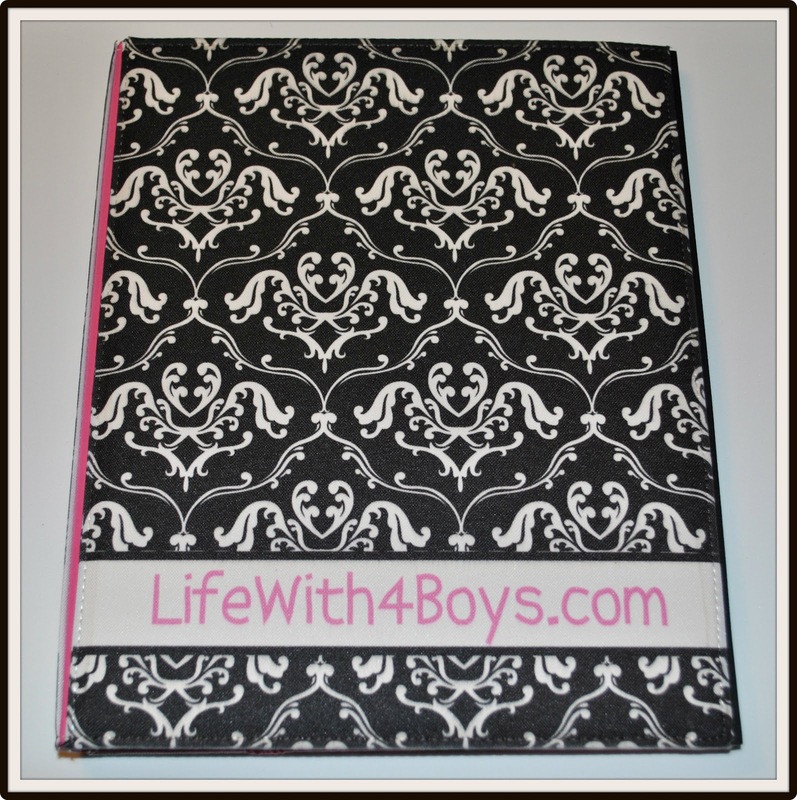 It would be a lot of fun at BlogHer to have a custom case! I just won a new iPad in a contest with Liberty Financial Group and I need a quality case for it. I don't have an iPad, but I love my Kindle Fire. I would love to win this for my Mom. She has an i Pad but does not have a case for it. I'd love to win this because my case has gotten grubby from my boys using it! It took me 30mins staring at this wonderful Ipad cases. The best customization ever I have seen among all the ipad cases here. I'm so glad now that I manage what to make with my own designs. I would love to win because these cases are really nice and I hope to get an ipad soon that will definately need protecting! I would love to win this so we could protect our ipad from our daughter! My 9 year old would love it .. She is done with the cheap cases from Amazon/eBay.. I'd like to win because it looks like a stylish way to protect the ipad. I would like one because when I am holding trains using my iPad for traing staff/ individuals having an eye catching case will help in keeping attention on me. I want to win because it looks like a really good iPad case. I just bought an iPad3, so I could really use one of these! because right now i have no case for my ipad! I would love to win because I recently got a new COBY tablet and I need a protective case for it. I would love such a cute case! Love the design but I like that it's a functional case that you can actually use the iPad within the case (it's not just a sleeve). Like you on FB (Kristin K). I would like to win this to give to my daughter to protect her iPad--my grandson has already broken it once by dropping it, and although it was taken care of by the extended warranty, it would be nice not to have it happen again! I'd like to win because you get to design it yourself. I just bought an ipad and would love to have a nice case to go with it. I follow Life with Four Boys on twitter. My Ipad needs some protection.. I would like to win this because I can customize it. I love to have things like no other. I would like to win this case for my ipad because it would not only protect it but would be so pretty to carry around. I would like to win a Caseable iPad case because I could use a great case. I Follow Life With 4 Boys on Twitter. I Subscribe by RSS feed 2.